Nerd Block is a monthly subscription service for geeks. Every month, subscribers will receive a package containing a t-shirt and 4-6 toys or collectables. You pick the shirt size but the design and toys are unknown. First up is Garbage pail minikins series 2($2.99). Two figures with matching stickers. I remember Garbage pail from when I was little. There were gross and fun. I got Micheal Mutant ans Pete Seat. Pete Seat is a yellow Variant version. That bag said yellow was ultra rare but I have no clue as to how rare. The comic store version have peach as their ultra rare and they are 1 in 12. 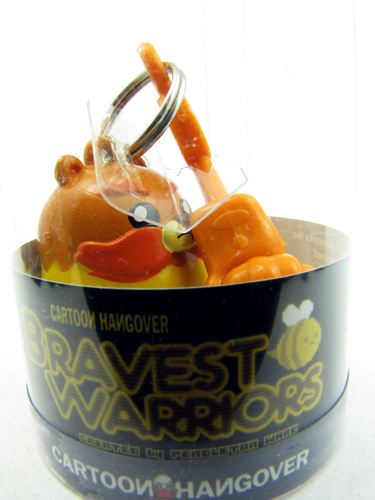 Yellow rare were sold in retail blind bags. 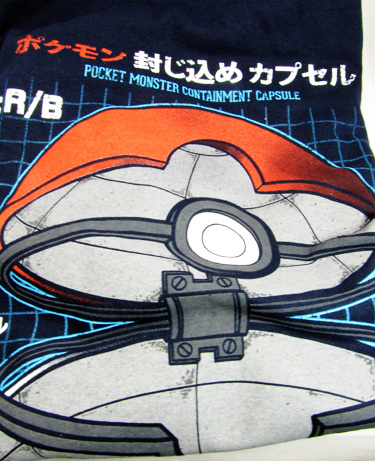 The shirt is a pokemon pokeball. It is a cool design. I like the look of it but since I don’t play Pokemon, this may end up on E-bay or storenvy. 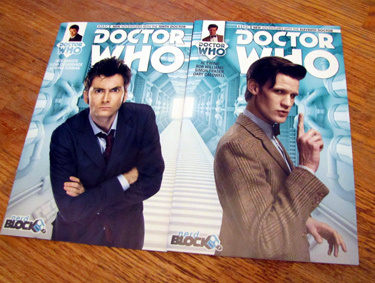 Doctor Who comics (3.99 each) Number 1 issues of the new tenth and eleventh Doctor’s comic with exclusive Nerd Block covers. Comics are cool. And the big event for the Month. Funko Pop Heroes Vinyl. 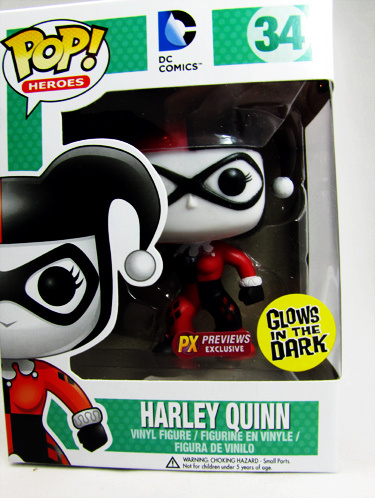 It is a previews exclusive Harley Quinn. I was so happy to see this is my box. This month subscribers got either Harley Quinn or Batman Funko pop figures. 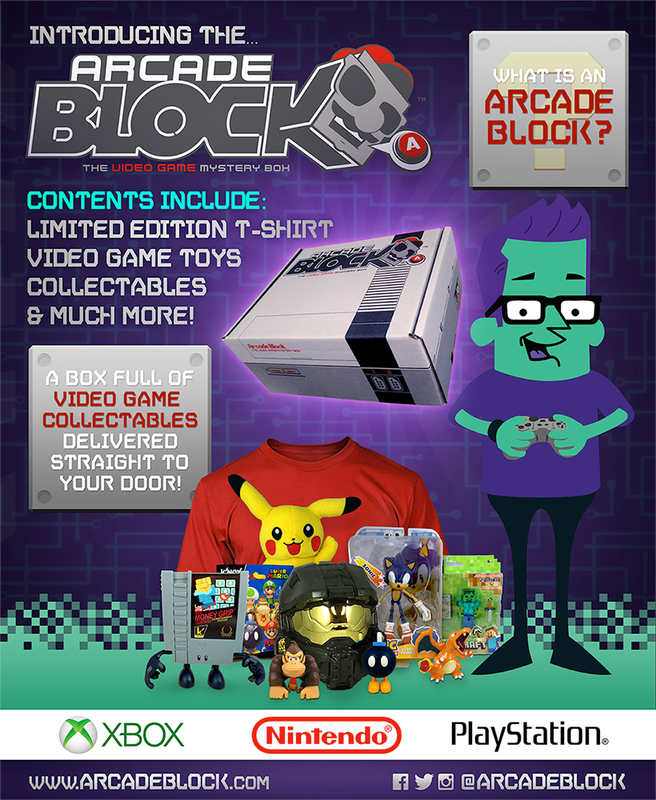 September Nerd Block: They have said September’s box will include a Teenage Mutant Ninja Turtle item from the classic cartoon series. Plus some big reveal about the box sometime this week. I’ll update it here. Nerd Block made their Big announcement. In addition to the classic Nerd Block, Jr Nerd Blocks, and the Horror Block, they now have an Arcade Block focused on gaming. The first one ships on September 25. You have four weeks to decide if you want one. Spoiler alert! If you get a box don’t read the shipping label. There is a mini invoice on it that tells whats inside. It’s vague but may reveal more than you want to know. Do you enjoy this review? Any questions. 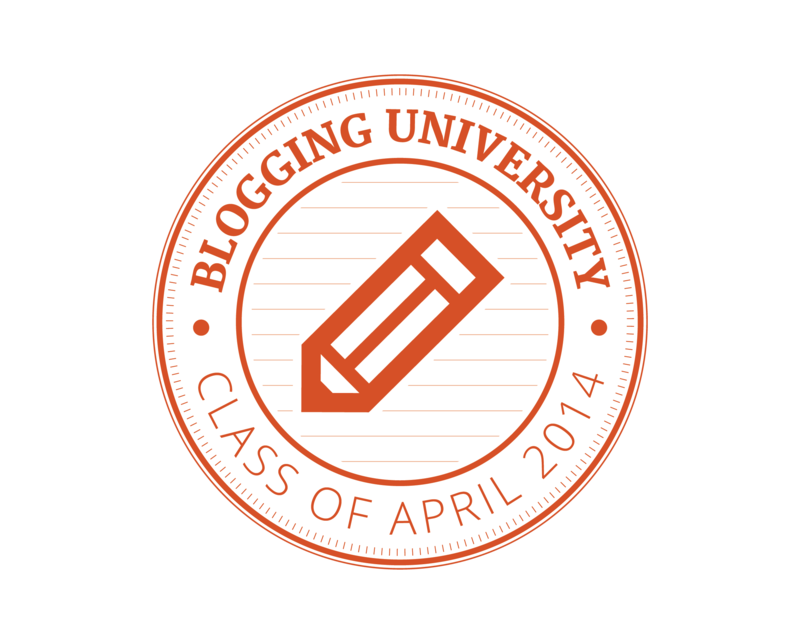 I’m considering reviewing the Nerd Block as a monthly feature. Nerd block classic 19.99 Plus shipping 9.50 US plus a border fee exchange fee of .27. Horror block 19.99 Plus shipping 9.50 US, The Horror block ships on the 25th of the month You must order by then to get the box. This month they said it will include an Aliens item. I am part of Nerd Block affiliate program. Funko Pop is now selling Dancing Groot bobble heads. Preorders are now open for shipping in December. I am now a Her Universe affiliate. 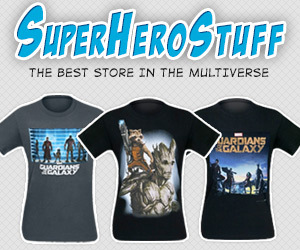 Check them out for cool women’s geek apparel. More on that soon. This entry was posted on August 26, 2014 by Chris. 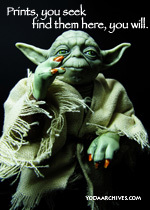 It was filed under Action Figures, Yoda and was tagged with blind bags, doctor who, funko pop, garbage pail kids, harley Quinn, mystery boxes, nerb block, spoilers, surprise box, tee shirts, Tuesday's Toy Review. They have added Arcade Block. It is a video game themed surprise box subscription.